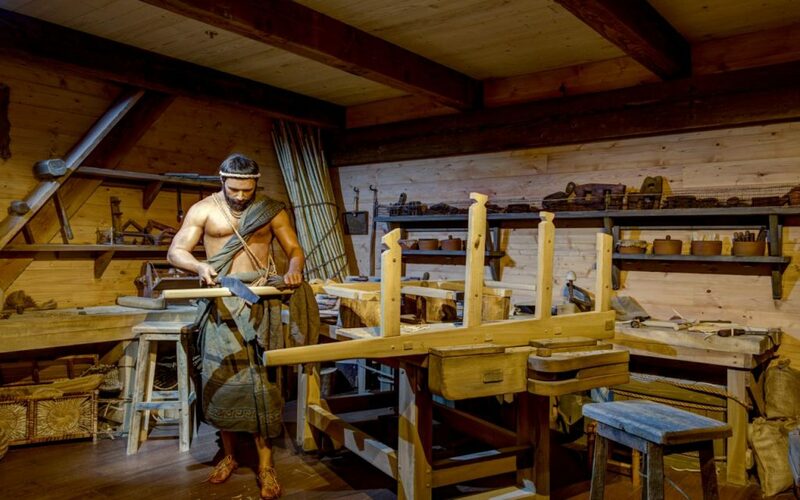 The Ark Encounter has taken the travel industry by storm, and you won’t want to miss out on one of northern Kentucky’s most impressive attractions. Since its grand opening in July 2016, the Ark Encounter has quickly become a hot item in the group travel sector. 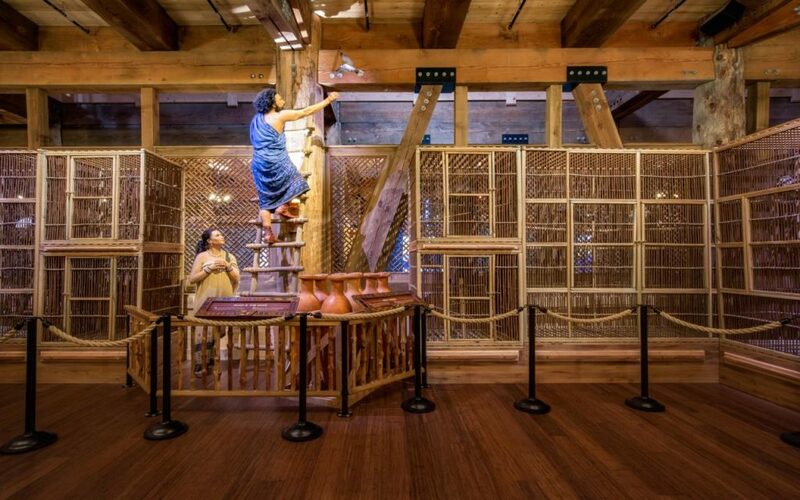 Hundreds of faith-inspired tour groups have made the journey to Williamstown, Kentucky to witness the life-sized replica of Noah’s Ark, built to exact biblical specifications. 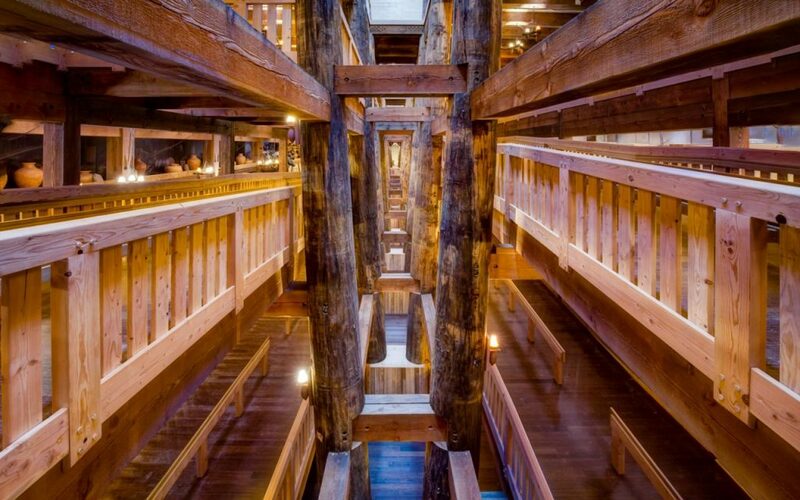 It is the largest timber-frame structure in the world – measuring 510 feet long, 85 feet wide and 51 feet high. Inside are world-class exhibits showing how Noah and his family might have lived, how he might have cared for the animals and so much more. Of course, constructing an ark of such epic proportions was no small feat. 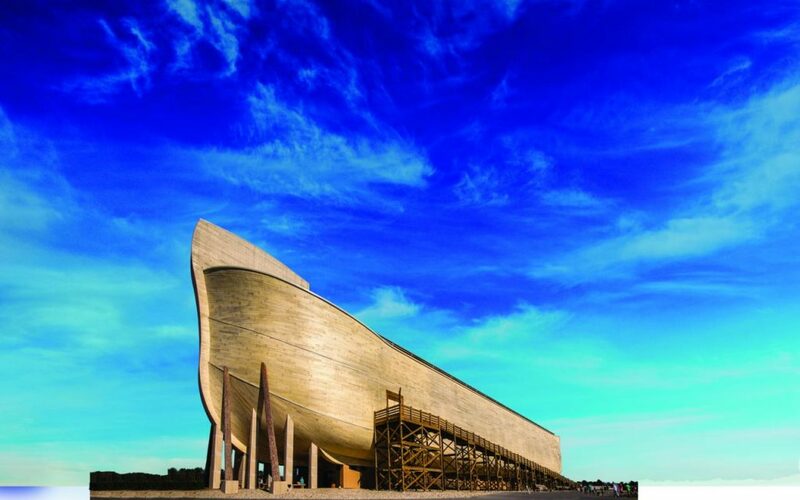 With the help of an Amish construction crew from northern Indiana, teams worked quickly – the total construction time was under two years – to lay the foundation and raise the ark’s impressive structures. On the ground, crews worked on what is called a “half-bench,” also known as the ribs of the ship. By the time it was done, it weighed in excess of 25,000 pounds and was moved by a crane to the site it occupies today. The Ark Encounter is operated by Answers in Genesis, which also runs the nearby Creation Museum. There are three levels to the Ark, and it’s recommended to allow at least five or six hours to truly take in all there is to see and do in the Ark and on the grounds. While all tours are self-guided, there are guest services members on hand to answer any questions you may have. Also located at the Ark Encounter is the Ararat Ridge Zoo, which is a must-do. Marvel at the yaks and kangaroos, and even hitch a ride on a donkey or camel. On the second deck of the Ark, there is an animal encounter area where visitors can pet and interact with the animals – a great experience for all ages. Visiting the Ark as part of a tour group offers a chance for a unique shared experience that everyone is sure to remember for years to come. There is no attraction like it in the U.S. Tour groups are welcomed and encouraged at the Ark Encounter, and will receive the added benefit of being able to bypass the regular parking and ticketing area to head straight to Noah’s world. Tour groups arriving by bus are greeted by a staff member who will check them in on the bus, and they are then escorted directly to the main entrance. Check out the Groups page on the Ark Encounter website.